Mickey Ink °o° - Disney and Star Wars Tattoos! 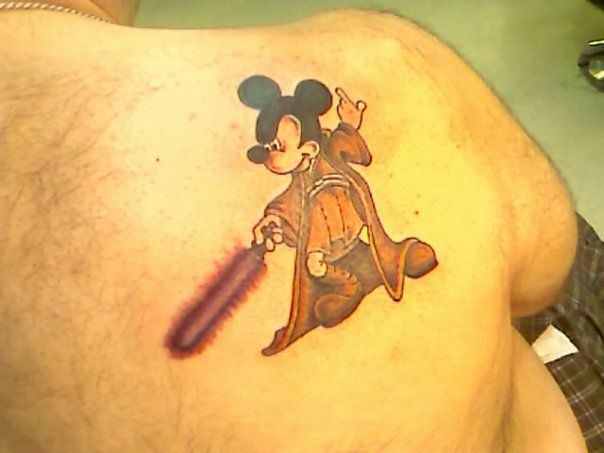 Mickey Ink °o° featuring Star Wars Inspired Tattoos Submitted By Our Readers! Star Wars has been a part of so many peoples lives for over 40 years. 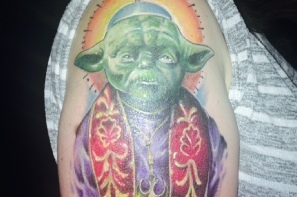 Some people love to express their love of Star Wars through body art. Here are photos of some of our fellow DizFanatics and their personal expression of their love of the culture of Star Wars! 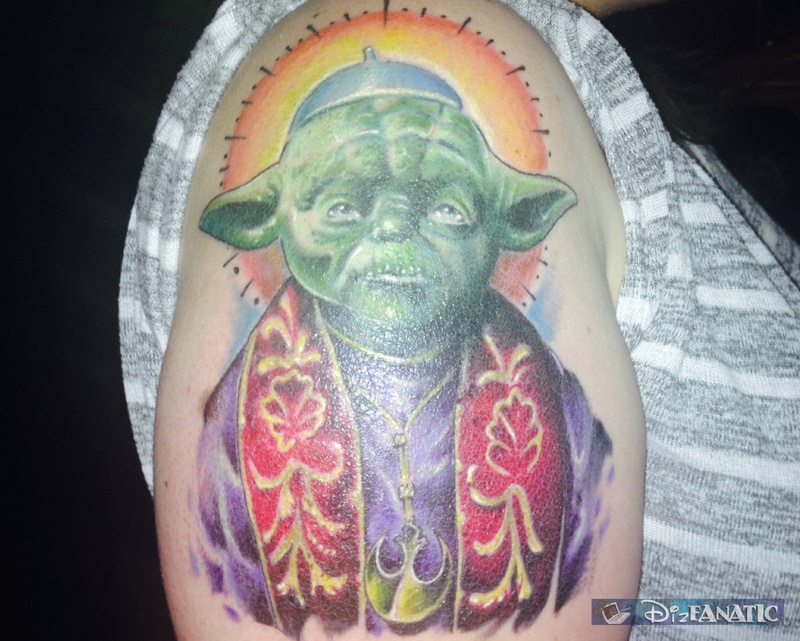 If you have a Disney, Pixar, Star Wars, Marvel or Muppets inspired tattoo that you would like to share, please submit your photo to us and we'll gladly post it. And a big thanks to those of you who already have. 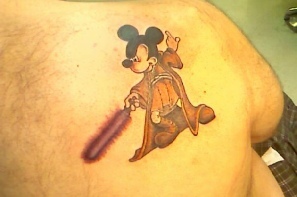 Dennis O’s Jedi Mickey is our first Star Wars / /Disney hybrid tattoo! Nice.